A few simple exercises can effectively shape up a few common problem spots. Many experts and trainers have written on problematic belly fat and hip regions. Other areas of the body are often overlooked. Let’s focus on a couple of these problematic areas and discuss ways to create effective change. Common back exercises like pulldowns ignore the middle back enhancing bra bulge. The specific muscles we are focusing on are the rhomboids and the lower trapezius. This exercise allows individuals who don’t have the strength to do a pull-up the same benefits. Lying on your back, reach toward the ceiling. This is the distance you should set the bar for your pull-up. 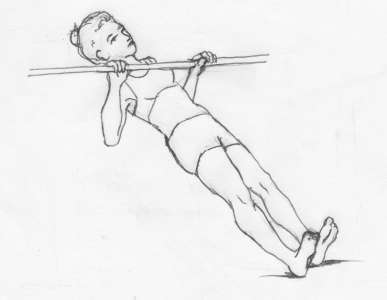 Keeping your back straight, grasp the bar palms down. Pull your chest toward the bar. The back of your feet should stay on the ground at all times. 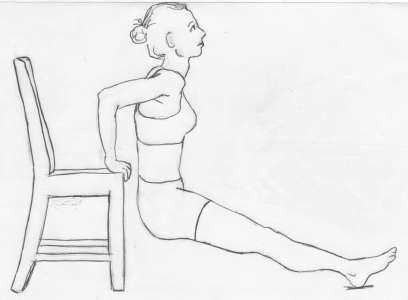 Once you’ve pulled yourself up, lower back down keeping your back straight throughout. Alternate method: Place two tall chairs facing out against a doorway. Lay a sturdy rod, like a broom stick across the chairs. Make sure the chairs and rod are secure before you attempt the exercise. This exercise helps accentuate rear deltoids and middle back. While sitting, grab two dumbbells (canned goods can also work) and bend forward. Drop your arms to the ground. Bending your elbows slightly pull arms back squeezing shoulder blades together. 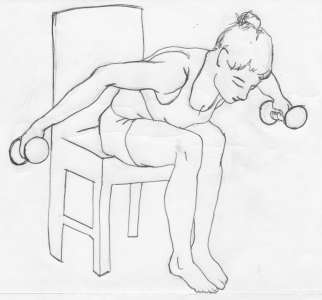 Hold weight for a second then lower arms back to starting position. Similar to standard push-ups, but hand placement is tight to the side. Elbows stay back during push-up to emphasize triceps muscle. You may do alternate push-ups on your knees if you cannot do the standard method. This exercise works the chest muscles too. Place hands on edge of a chair fingers forward. Feet are on the floor body length away from the chair with knees slightly bent. Resting your weight on the hands bend at the elbows and slowly lower your bottom toward the floor. Return to starting position. As your strength improves, you can straighten your legs and eventually prop your feet on another bench to add additional weight to your triceps. Perform these two sets of 8-15 reps of these exercises twice weekly. Take off at least one day in between workouts. Adjust reps and resistance as you gain strength; the last couple of repetitions in a set should be somewhat of a struggle. Remember, consistency is the key. Get started today! 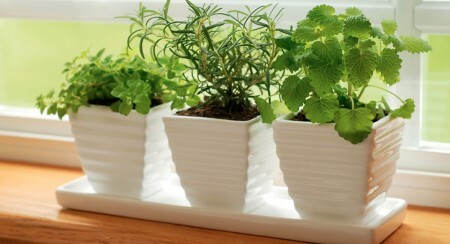 Summer will be here again before your know it! Dr. Anthony Parish is professor of Kinesiology at Armstrong State University with over 25 years working as a personal trainer and is a former competitive bodybuilder. He has published multiple articles and the book, Case Studies in Coaching.